Personally, I don’t have a home phone line. My parents do, however. Copper wire landlines are valuable in case of emergency because they carry their own power. Even if my parents lose electricity (as often happens in the woods where they live), they still have a more reliable way to communicate with 911 than their smartphones. After all, mobile 911 networks have been plagued with serious problems (Verizon was recently fined $3.4 million over an April 2014 failure of its mobile 911 service). This week, the U.S. Federal Communications Commission (FCC) voted to impose new rules on Verizon and other companies that maintain copper phone lines. Specifically, carriers must now notify you at least 3 months in advance before shutting down a copper network. Carriers also need to seek FCC approval before discontinuing, reducing or impairing service to an area. 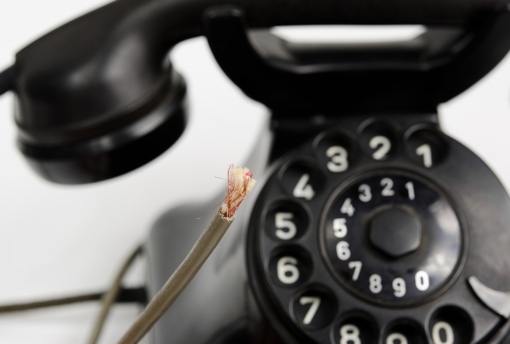 Replacement services must be offered at comparable prices to copper service, too — your phone company can't charge you more for VoIP just because it phased out your copper network. In a separate measure, the FCC now requires carriers to provide backup power generators (at your expense) to maintain phone service in the case of prolonged outages. This is important for customers who have been switched over to VoIP (Internet-based) service. VoIP requires power to work, so if your home is dark, you won’t be able to use your home phone to call 911 without some kind of emergency power source.